Owning, driving, and maintaining an Isuzu commercial vehicle is already a sound business investment in itself, as the world’s foremost manufacturer of diesel-powered engine assures the power, reliability, durability, and fuel efficiency in every vehicle that rolls out of its assembly. However, to maximize the strengths of every Isuzu truck, maintaining and operating it must also be up to par with the best practices, techniques, and technologies. These best practices and techniques can mitigate the adverse effects of the current volatility of fuel supplies and prices in the global market. This global volatility, and the resulting cycle of local price markups and markdowns, have been causing headaches for business owners who are finding it extremely difficult to project their medium- and long-term profits and losses. 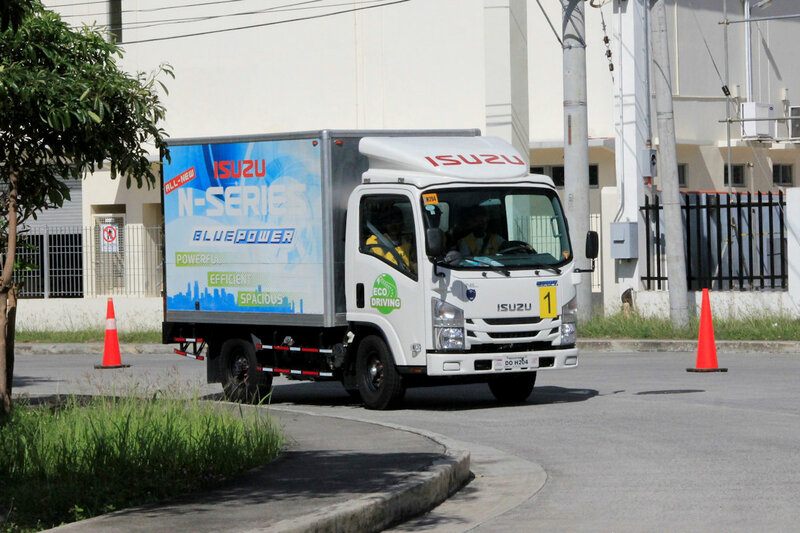 Isuzu Philippines Corporation has taken the initiative to share with its fleet customers of Isuzu trucks the theories, practical knowledge, and the latest technology in optimal and responsible driving in its monthly Isuzu Eco-Drive Training. This special training, which only Isuzu can offer, ultimately aims to support the profitability of the businesses of fleet owners by expertly training their drivers how to drive efficiently. These sessions, an adaptation of Wacom Hokkaido Co Ltd’s driver education program on economy and safety driving that has become well-received by customers over the years--began in June 2018. During these training sessions, IPC’s fleet customer representatives (mostly driver employees) engage in discussions and lectures on economical and efficient driving. Then, participants undergo actual driving exercises using Isuzu light-duty vehicles installed with the Mimamori Online Service advanced operation information system, and guided by specially trained expert Isuzu drivers. The Mimamori Online Service advanced operation information system employs the latest communications and GPS technology to collect real-time data on vehicle operation status. This data is shared with the Mimamori Center, where it is analyzed to enable real-time vehicle management through interactive communication between the vehicle and the office. On the vehicle side, voice guidance and audible alarms advise the driver on fuel-use reduction and safe driving while the vehicle is in motion. Meanwhile, on the management side, the system provides the ability to track the vehicle’s current location and status of operation in order to help maximize logistics efficiency. Finally, participants undergo a seminar on the actual practice of conducting daily inspections, which reinforces the preventive maintenance procedures for every Isuzu vehicle. For more information on the Isuzu Eco-Drive Training sessions, log on Isuzu Philippines’s official website. Was Carlos Ghosn a Victim of a Nissan Power Play?